WILSONVILLE -- The Clackamas Hammers' bats went quiet at all the wrong times Friday afternoon against Lincoln senior right-hander Zane Mills. Mills scattered six hits with eight strikeouts and survived a seventh-inning scare as the Cardinals edged Clackamas 2-1 in the quarterfinals of the Oregon Independent Baseball Association tournament at Wilsonville High School. Trailing 2-0, Clackamas pushed a run home in the seventh on Ryan McDonald's sacrifice bunt, but the defending OIBA champions stranded the potential tying run at third base when Mills retired Grant Schoen on a game-ending strikeout. "Lincoln's pitcher did a heckuva job," Clackamas coach John Arntson said. "He was throwing all thee pitches for strikes, he was hitting spots, and he was one of the best ones we've seen this summer. "I think this team wanted to go and win this again like we did last year, and I think they're good enough to, but … that's baseball. You run into a good pitcher and anything can happen." Mills said his performance on the mound hinged on two things. "Key No. 1 was always having faith in my teammates," he said. "I never had any doubts. Anytime a ball was on the ground or in the air, I always knew that there was going to be somebody there to make a play. "And then just me filling up the strike zone. That was a big one." Clackamas starter Jeff Nelson matched Mills pitch for pitch through the first three innings and took a two-hit shutout into the fourth when the Cardinals sent seven batters to the plate and scored two unearned runs on three hits and one Hammers' error. With one out, Lincoln's Ivan Elesner reached on a throwing error by Clackamas shortstop Bubba Jaha and then scored when Mills lined a double into the left-field corner. Jake Leitgeb followed with a bloop single to right and Frank Elesner was hit by a pitch -- one of three batters Nelson hit in the game -- to load the bases with one out. Matt Easton then hit a hard grounder that glanced off third baseman Alex Claxton and bounced to Jaha, who tagged Leitgeb on his way to third for the second out as Mills scored to make it 2-0. Clackamas had four innings to make up the deficit, but struggled to put some hits together. The Hammers went down in order in the fourth, then put a runner on base via a two-out error and stranded him at second in the fifth, and then went down in order again in the sixth. In seventh, Clackmas' Kyle Kirsch reached on a one-out single, stole second, went to third on Jack Kelly's single, and scored on Ryan McDonald's sacrifice bunt back to the pitcher. Kelly went from first to third on McDonald's sacrifice, putting the tying run 90 feet away with Schoen, who already had two of Clackamas' six hits off Mills, to the plate. Mills won the final match-up, striking out the Hammers' leadoff hit on three pitches -- all fastballs -- the last one a swinging strike. "I just had to throw strikes and get an out," Mills said. "I threw a high fastball first pitch and that seemed to work, so I just stuck with it. "A good team like Clackamas is going to hit the ball around a little bit. Obviously, they have a great team and I have a lot of respect for their players and coaches. They're doing a lot of right things over there." Arntson tipped his cap to Mills, who threw a total of 96 pitches, including 66 for strikes. "We couldn't catch a break there early," Arntson said. "I thought we came out on first and has some good at-bats, and then through the middle innings we had a bit of a lull and I made the comment that I thought we were on our heels a little bit. "Then we picked it up and put ourselves in position to tie the game with a runner on third and our leadoff hitter who already had two hits at the plate. You can't ask for a whole lot more than that." Nelson went the distance on the mound for Clackamas and scattered seven hits with no walks and six strikeouts, suffering his first loss in eight starts this summer. "I thought Jeff Nelson pitched well enough to win," Arntson said. "Those were two good kids going at it, and we just made a couple too many mistakes defensively, which really isn't us. We don't usually do that. It's a little out of character for us, but it happened." 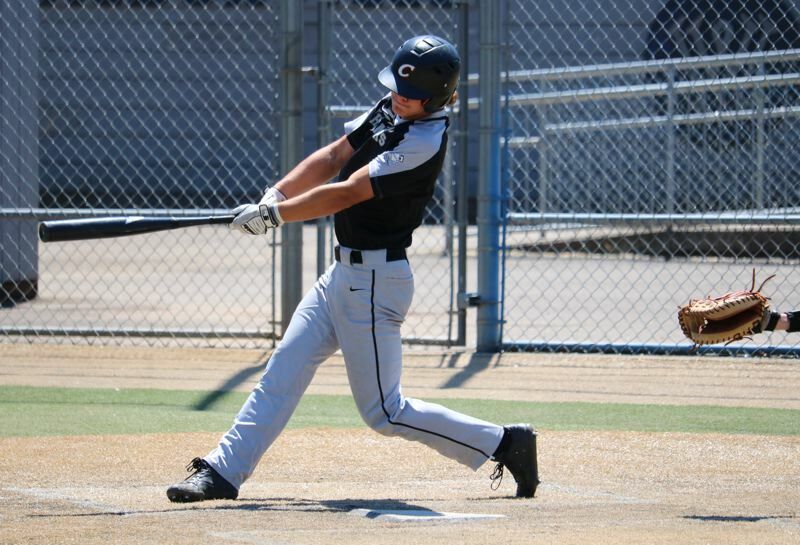 The Hammers finished the summer with a 24-4 record, reaching almost all of the goal Arntson had set for his team coming off their impressive run to the OSAA Class 6A state championship in the spring. "I think No. 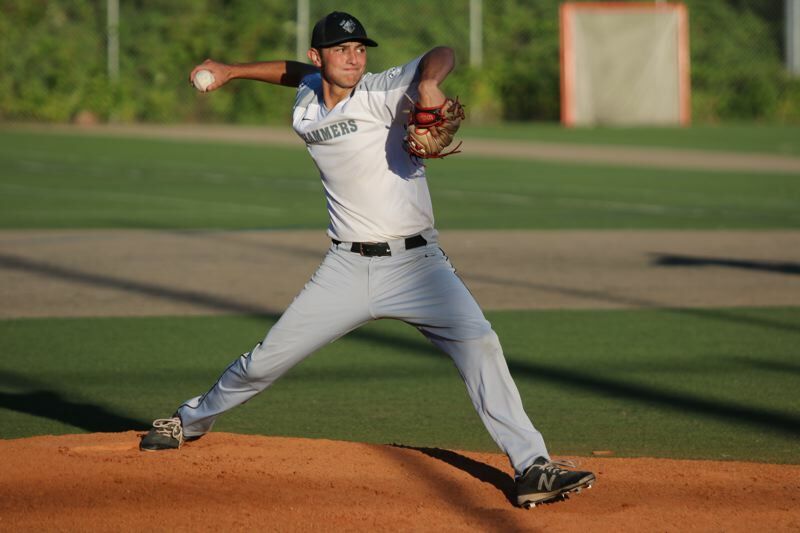 1, we want to see our pitchers establish themselves," Arntson said. "I think Jeff Nelson established himself as an ace going in, Tucker Grote did a great job of going from reliever to starter, and Greh Mehlhaff, Grant Schoen and Kyle Kirsch got some experience that they needed. So, we've got some depth with our pitching again. "We've got some work to do in the off-season, but I feel good about this team. I think we're going to be a team the people are going to have to worry about again. mean, it was a good summer. "I mean, it was a good summer. We set the bar kind of high last summer and this last high school season, but I'm not complaining about that." CLACKAMAS 13, SANDY 2: Clackamas pitchers Greg Mehlhaff and Nate Vaughn combined on a no-hitter with six strikeouts and Mehlhaff went 2-for-2 with a triple and three RBIs to lead the Hammers past Sandy in Wednesday's OIBA tournament opener. Alex Claxton added two doubles and three RBIs, and Jake Zehr had two doubles and drove in two runs for the Hammers, who scored four runs in the inning, five in the second, and three in the third before the game was called after Sandy batted in the top of the fifth. Mehlhaff worked the first four innings and surrendered a run in the third inning when Sandy's Kevin Drake reached base on an error and scored on a wild pitch. In the fifth, Drake drew a one-out walk from Vaughn, stole second, went to third on a ground out, and scored on another wild pitch. Vaughn then struck out Sandy leadoff hitter Colby Carson to seal the decision.